Apollo E-Cigs is one of the most well known and respected brands in the e-cigarette industry. They’ve been around for a long time and judging by user reviews and forum postings, they also have a very loyal user base. What I first found attractive about Apollo was the elegant black or white packaging, and the very useful accessory that you don’t normally find in most standard starter kits – a portable charging case. There’s no questioning Apollo’s package looks very appealing, but is it really as good as it seems? Read our review and find out for yourself. Before we go into the actual presentation, I want to make it clear that Apollo’s various starter kits feature different model electronic cigarettes. Most brands categorize their starter kits by the number of batteries, and included accessories, but Apollo actually has different e-cig types in each of their packages. I opted for the Standard Starter Kit, which the company advertises as “the best electronic cigarette if you have no idea where to get started enjoying your smoke-free life”. 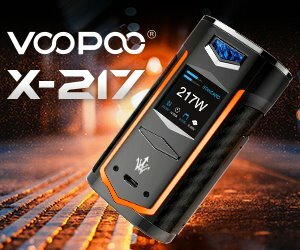 I figured that’s what most smokers in search of an alternative are looking for, plus it included that fancy PCC (portable charging case) I love so much. The standard kit comes in a beautiful magnet top box – mine was white, but they also come in black – and features two RN4081 batteries (one automatic, one manual), a pack of assorted cartomizers, USB and wall chargers, a handy PCC for charging on the go, and a disposable e-cigarette. The battery model used by Apollo for their standard starter kit is one of the oldest on the market, but it works for social smokers looking to get their feet wet in the world of vaping. For people who used to smoke 1 or 2 packs of cigarettes a day, the Extreme starter kit is a much better choice, but doesn’t include the charging case or the disposable e-cig. At $69.95, the Standard starter kit can be considered a bargain, if you take into account what’s included, but let’s take a look at how it performs. As I mentioned, the RN4081 batteries aren’t exactly the latest in e-cigarette innovation. I’m not sure why Apollo hasn’t yet upgraded to a newer model, it could be they believe this is good enough for first-time vapers. I for one am not crazy about this type of batteries. And it’s not the specific model of the batteries I have a problem with, it’s their size. Most other companies include a short battery, and a longer one, or allow customers to get two of each. Yes, these batteries are short-enough to be mistaken for analog cigarettes, they’re light and super easy to use, but when it comes to actual performance, they leave a lot to be desired. Battery life is always going to be a problem, no matter what you read on the company website, there’s just no way you can store enough power into such a small package. I got about two hours of use out of each battery, which is not that much. Other than that, I found the batteries to be very responsive and I loved the blue-colored LED, although some might prefer a red light to appear less conspicuous. To Apollo’s defense I will say the addition of a PCC makes things a lot easier. Normally, a person who smoked 15 – 20 cigarettes a day, or more, would have to charge the batteries at least once a day, which could be problematic. There may not always be a power source available, but thanks to the charging case you don’t need one. The handy gadget charges your battery while you handle your business, and also provides storing space for five cartomizers and your extra battery. It normally takes about 1.5 to 2 hours to recharge a battery, during which time you can use the spare. And the best thing is a fully charged PCC can charge your batteries 5 – 8 times before it runs out of power. It has a small LED screen that shows you just how much juice there is left, and when the battery inside is fully charged. The portable charging case was designed to look like a pack of analog smokes, only it’s a lot bulkier. While it may not fit seamlessly in your pocket, this thing is definitely handy, so a big plus for Apollo on this one. The vapor production of Apollo’s Standard starter kit e-cigs isn’t impressive. Yes, there’s some vapor there, but certainly not as much as I’m used to getting from other electronic cigarettes. The automatic battery needs priming, and you really have to take long drags to get a satisfying amount of vapor, and first time vapers who haven’t yet mastered the use of an e-cigarette might be disappointed at first. One thing I’d like to point out is this kit isn’t exactly Apollo’s finest, so if you end up buying it and are not completely satisfied with the vapor you’re getting, you might want to consider switching to the Extreme starter kit. I haven’t had a chance to try it yet, but according to the company website and the reviews I’ve read online, it’s superior to the standard package. Not even the disposable e-cig that Apollo throws in as a bonus doesn’t deliver enough vapor. They say it’s good for 500 puffs, but having to really draw on it to get some vapor cuts that number in half. 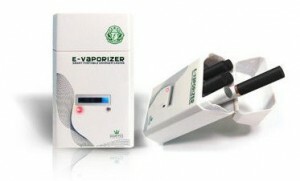 As far as vapor volume is concerned, the Apollo standard e-cigarette is pretty average. I’ve tested some weaker e-cigs than this, but there are are definitely some better alternatives out there. The e-liquid Apollo uses for its standard kit cartomizers is 100% propylene glycol-based, a fact that shines some light on the low vapor production of the e-cigarettes. While PG is the most commonly used e-liquid base, it’s also common knowledge in the vaping world that it produces less vapor than vegetable glycerin juices. In the “e-liquids” section of the Apollo E-Cigs site, it’s mentioned that the company sells 100% American e-liquid, 60% PG/40% VG, in 19 flavors, but ONLY for it’s refillable models. The Standard and Extreme started kits only come in five different flavors, which leads me to believe they’re using a different type of juice on these models. The flavors available for the Apollo Standard starter kit are tobacco, vanilla, coffee, cherry and menthol, none of which really blew me away. In fact they took some getting used to, as at first I couldn’t stand that common base taste that tasted a bit stale to me. But after a few days, it started to grow on me a little to the point where it was vapable. The cherry flavor was my favorite of the five, but I’d recommend buying empty cartomizers and some of that premium Apollo e-liquid, instead of these five unimpressive flavors. I expected more form the Apollo Standard starter kit, especially after all the positive things I read prior to doing this review. It’s true the PCC alone is worth getting the kit, but a disappointing vapor volume and a weak selection of flavors really cast a shadow on this package. There’s no doubt in my mind that Apollo is a very serious company. 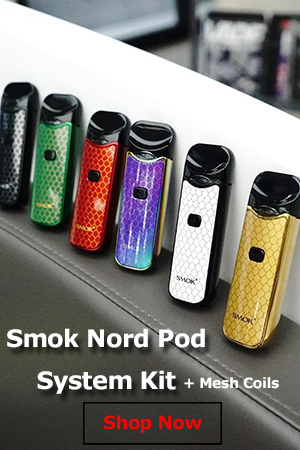 You can tell by the variety of products they have on sale, from the multiple types of cartomizers, to the various e-cigarette models and premium e-liquid. You might find it a good choice if you don’t mind a compromise between an analog size e-cigarette and average battery life and vapor production, but otherwise I suggest getting one of the more powerful Apollo electronic cigarettes. The Extreme starter kit is actually cheaper, by the way. I want to return the Apollo Valiant Kit i bought on 03/09/15 for a refund as i do not want to use any apollo products anymore. when i first received my valiant it worked great as per what the directions explained which i had read before buying the kit. after about two weeks the apollo started to malfunction it would not proberly locked in my preferred individual settings for the volts and watts. every time i would change the LCD screen to view any of the displayed Volts or Wattts it would drop the non displayed setting (VorW) down by one increment, if i would change to that setting again it would drop by their according increments, it also happens when i would hit – to check the ohms. now this happened on the first battery i received in the kit i purchased, i got ahold of customer service via email to truobleshoot the problem, did not help/work, and was suggessted to return via mail, i also had several online chats to explain the process of returning any item using the RMA form. two days after chatting online i recieved the USPS shipping info to mail it off in the preferred padded enevlope which took place 04/10/2015. I recieved a replacement to my surprise today 04/13/2015, excited i immmediately open it up connect the clearomizer only to discover the replacement was doing the exact samething, but this time it would change up and down, would not lock on a preferred setting again. i have exhausted all option as to get ahold of anyone today 04/13/15 via chat, email, and calling your toll free number only to get no response. So once again i would like to return all items i purchased that apparently are returnable for a refund as i would rather spend my hard earned money on a local distributor without problems for someone who is using this option to Quit smoking. Do NOT WASTE YOUR MONEY ON THIS.